Elavil (amitriptyline) and other drugs with amitriptyline as the active ingredient are usually given for depression and other mental disorders. It is also prescribed off-label for chronic back pain after conservative treatment has been tried. Because Elavil is an antidepressant, side effects may include unanticipated changes in your mental status. During clinical trial testing of the drug, for example, some of the younger participants (up to 24 years old) started to have suicidal thoughts. If problems with your mental status related to taking Elavil do develop, their occurrence may correspond to times when your dosage is adjusted, or when you first start taking the medication. If you’ve been diagnosed with depression or a mental illness, your risk for becoming suicidal is increased upon taking Elavil. And, if anyone in your family has bipolar disorder (extreme mood changes from depressed to excited), mania (frenzied or abnormally excited mood) or has considered suicide, your risk for suicidal behavior increases even more. The two most frequent side effects of taking Elavil are drowsiness and dry mouth, but the medication can affect a number of body systems. These systems include (but are not limited to) cardiovascular, nervous, gastrointestinal, hematological (blood) and more. Drug interactions between Elavil and other medications may prevent you from taking it safely, called a contraindication. Elavil has two such contraindications. So it’s important to tell your doctor about all other medications you are taking before starting this medication. When prescribed for chronic spine pain, amitriptyline is given in lower doses than for depression, and this may reduce the degree to which you experience side effects. Elavil and other amitriptyline medications are not commonly given to seniors and the elderly. Heart-related side effects are more common in people over 60 who take amitriptyline. This is because arrhythmia is more common in this age group. As with any medication, some side effects associated with taking Elavil require immediate attention. If you have any of these, go to the emergency room as soon as possible. Fink, K., MD, Director Pain Services. National Rehabilitation Hospital, Washington, DC. Telephone Interview. March 9 2009. Hochadel, M., PharmD, BCPS, Editor in chief. 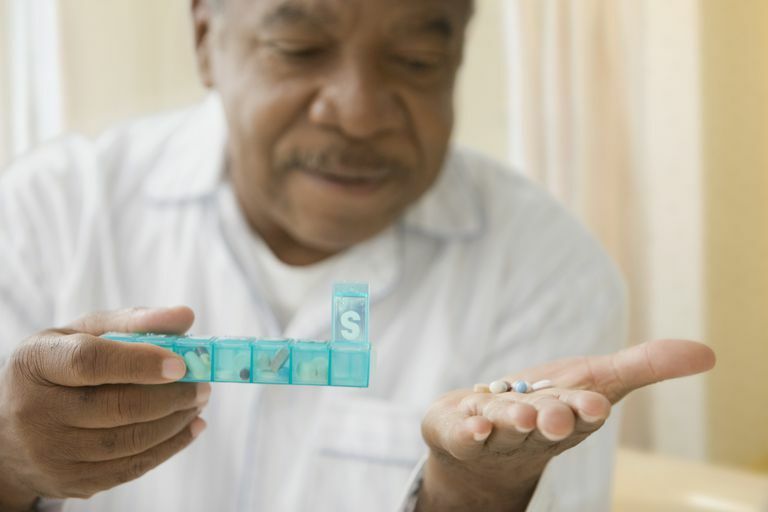 The AARP Guide to Pills. Sterling Publishing Col, Inc. New York. 2006. Amitriptyline. Drugs.com Consumer Information. March 2008. Amitriptyline. Drug Info. Gold Standard. November 2008. Amitriptyline. Medline Plus. February 2009. McQuay, H., Moore, R. Anti-depressants in Chronic Pain. Bandolier.